Digital advertisements are the perfect accompaniment to your organic traffic initiatives. Text ads are a type of PPC ad. They are ads that consist of text only; no images, no videos. These are the most popular because they are most affordable. 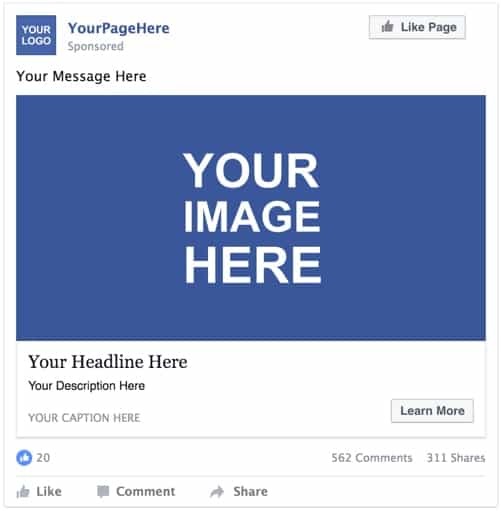 You only pay when someone clicks on your ad. This is know as pay-per-click. This means you get free ad impressions! Search engines display local results, organic results and paid results. Performing SEO helps your site to display in the local and organic area on a search results pages but you will not be showing up the paid results section. It’s best to cover all three bases if possible. AdWords shows texts ads right at the top of Google! Bing is the 2nd most popular search engine in the US. Even though Bing has less traffic that Google, Bing has been known to have better engagement rates. When running Bing Ads, they will show right at the top of Bing! The amount of work required to set-up a PPC campaign can depend on many factors. For example, a client who wants to spend $1,000 per month on PPC ads might target around 100 keywords. This will take less time to set-up than a client who wants to spend $10,000 per month and target around 1,000 keywords. Our set-up fees start at $500 and increase depending on the size of the campaigns. Obviously, larger campaigns with more keywords well require more work. Also, if you need landing pages created this would incur an extra cost. The amount of money you want to spend on running ads is called “ad spend”. Let’s say you want to spend $500 on AdWords each month. In addition to that, it will take time and effort on our part to manage, optimize and track your PPC campaigns. The amount you pay Pigzilla to do this is called a “management fee”. Monthly management fees vary depending on your “ad spend”. Our minimum monthly management fee is $300. Display ads usually consist of images with text overlaid on top of them. Text, image, video, or rich media formats can appear on the Google Display Network (GDN). Display ads on the GDN can be shown on “over two million websites and in over 650,000 apps”. Display ads can be run on social networks like Facebook, Instagram and Twitter. The amount of work required to set-up a display campaign can depend on many factors. For example, a client who wants to spend $1,000 per month on display ads might target around 100 keywords. This will take less time to set-up than a client who wants to spend $10,000 per month and target around 1,000 keywords. Our set-up fees start at $500 and increase depending on the size of the campaigns. Obviously, larger campaigns with more keywords will require more work. Also, if you need landing pages created or need your ads to be graphically designed, this would incur an extra cost. The amount of money you want to spend on running ads is called “ad spend”. Let’s say you want to spend $1,000 on Facebook ads each month. In addition to that, it will take time and effort on our part to manage, optimize and track your display campaigns. The amount you pay Pigzilla to do this is called a “management fee”. Monthly management fees vary depending on your “ad spend”. Our minimum monthly management fee is $300.